With technological advancements that enable everyone to share stories on social media at the click of a button, farmers now have the ability to educate the public beyond the news that chocolate milk does not, in fact, come from brown cows. Casey Kinler, Communications Manager with the Animal Ag Alliance based out of Arlington, Virginia, is urging farmers to capitalize on this opportunity. Sharing their agricultural story can be as simple as one photo a day with a beneficial, detailed explanation that will protect it from being taken out of context. “Stay honest and be that relatable person that people can ask questions to,” Kinler advised. It is important that producers are engaged in conversations with those optimistic and interested in where their food comes from. Kinler calls this the moveable middle and encourages this to be the focal point for farmers. “Have a conversation with those people and don’t waste your time on people who are trying to detract your message,” she concluded. Among the mix of registered dietitians conveying the accurate message, California Ag Today concluded our conversation about Facts Not Fear with Teresa Thorn, executive director of the Alliance for Food and Farming, located in Watsonville. 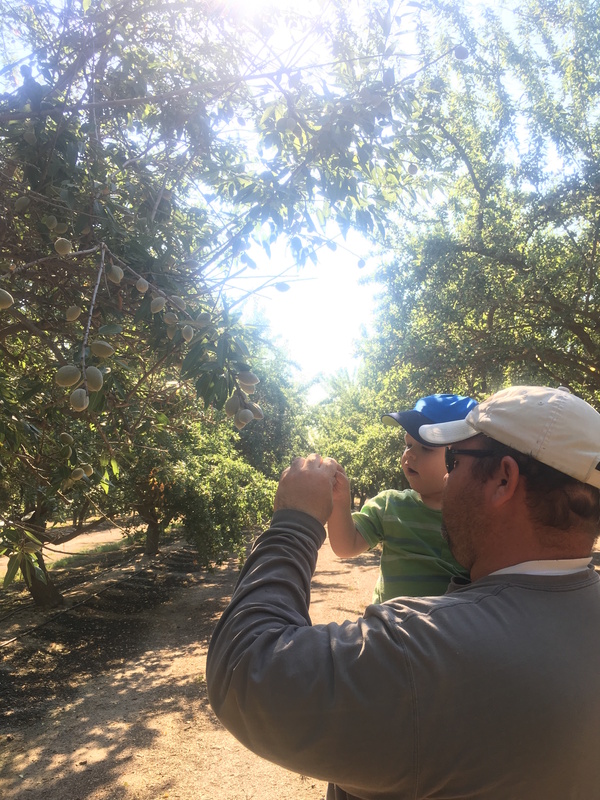 The Alliance hosted the second Facts Not Fear produce safety media tour, in conjunction with Markon Cooperative, for registered dieticians, health and nutrition writers, and bloggers last month in the Salinas Valley. Impacting the customer with the proper information is key. “We have a mix of writers and bloggers who again have that bullhorn to consumers,” Thorn said. Social media was also used in conveying the message. “They’re posting, and we’ve read it and retweeted a lot of their stuff so you can go to our social channels and see some of it,” she explained. Speaking to growers was very important, and asking industry professionals to attend was vital to cultivating relationships. “They loved being out in the field. We were always the last ones to get on the bus because they had so many questions,” Thorn said. The group also does a roundtable discussion where they bring in scientists, shafts, regulators, farmers, and farming companies into the room at Markon’s Produce Expo. “Building that network was really important,” Thorn said. For the third consecutive year, Bee Sweet Citrus is eager to help kick off the Power Your Lunchbox Promise with Produce for Kids. The Power Your Lunchbox Promise, a national campaign, aims to encourage families and their children to eat healthier lunches, afterschool snacks and everyday dinners. The Power Your Lunchbox campaign ends on September 23rd. Throughout the campaign, families will be encouraged to take an online promise that supports healthy eating at home and at school. For every promise made, sponsors of the Power Your Lunchbox Promise will make a collective $1 donation to Feeding America programs that support families and children. In addition to the online promotion, Produce for Kids will be marketing register dietitian-approved recipes and nutrition tips on their online and social media platforms. Supporters are encouraged to use the #PowerYourLunchbox hashtag throughout the campaign to help spread awareness on their own social media accounts as well. Reaching consumers is key to helping with food confusion. Tamika Sims, the director of Food Technology communications for the International Food Information Council Foundation, is using social media to aid consumers. “We will follow what is happening in … social media—including Facebook, Twitter, LinkedIn and Pinterest—to get a feel for how consumers are talking about food,” Sims said. Sims noticed that differences and similarities between organic and conventional crops are being discussed with consumers, emphasizing how safe both are. “That’s the one that we can’t seem to get enough of,” she said. They talk about the differences and similarities as far as organic and conventionally grown fruits and vegetables. Interested in learning more? You can go to the IFIC’s website to check out their resources. Digital platforms—not newsprint—lead the information superhighway-world we live in. Beyond news websites, everyone in the agricultural industry who is able should engage and agvocate on a few social media platforms such a Twitter, Facebook, Instagram or blogs, according to @AlmondGirlJenny. @AlmondGirlJenny is engaged on such social media platforms as Facebook, Instagram, Twitter and YouTube. “It’s critical for us to be out there,” she added, “showcasing what we’re doing and highlighting the benefits of agriculture and how it’s multi-generational, how it’s family oriented. Get people to relate to it and become engrossed in it,” Holtermann said. Jenny and her husband, Tim Holtermann, have a big story to tell. “I’m a fourth generation California farmer” she began. “My family farms almonds and walnuts in northern California. Then I married a fourth generation California farmer as well. “We farm together with my husband’s family in the Wasco area. It’s very important to us to care for our land and treat it as best as we can so that it can be passed down to future generations. We’re raising the fifth generation, and we hope that someday, if he so chooses, our son has the opportunity to farm here as well,” she said. California FFA Association, a high school youth leadership and career development organization, is very dynamic in the state. FFA chapters are located throughout the state’s agricultural areas. We had a conversation with Michelle Borges, a sophomore at Hughson High School. She is an active member of the Hughson FFA and serves as the 2016-17 FFA Chapter reporter. “My job is publicizing the FFA to everyone in the community. I write articles to the local newspapers. I’m in charge of the social media for Hughson FFA. Basically any radio broadcast, television broadcast, anything like that to get the word out about FFA,” Borges said. Borges was also active in the 4-H starting at age five. She raised and sold goats, and she is devoted to California agriculture to this day. “One of the reasons why I love agriculture is because both my parents work in the agriculture industry. Both my brothers were super involved in the FFA, so I was kind of born into it,” she said. Borges noted that while her family does not farm, they are involved in agricultural education. “My dad is the Dean of Agriculture at Modesto Junior College, and my mom used to be an agriculture teacher in high school, but now she teaches junior high,” she said. While still in high school, Borges wants to continue pursuing her passion for agriculture. “When I grow up, I want to be an animal nutritionist. I’m really interested in nutrition for animals and I have also raised goats. . . ‘Seeing them grow up and then selling them. That whole project; it is really interesting to me. Also, with FFA, there’s a lot of public speaking competitions and I really enjoy public speaking in front of a crowd,” she said. To hone her skills for that animal nutrition career, Borges plans to go to Cal Poly, San Luis Obispo, after she graduates from high school. While connecting with people via a distinctly different interest can be constructive, Schwiegert held that consumers do trust and want to hear about agriculture from farmers and ranchers. She referred to a recent finding that while the majority of people do not know how to get in contact with a farmer, farmers are the people they want to talk to and get their information from. Schwiegert does not know if there is a definite ‘disconnect’ between this romantic view of the rustic farm scene with antiquated tools, and consumers who use the latest devices and apps. She said, “I am not sure how to re-connect that. For instance, why is it ok to use an antibiotic if you have pneumonia, but it is not ok to use it in chicken? And I’m not sure how we mend that because consumers are not trustworthy of statistics and science, so I guess that it is one of the million-dollar questions out there. You know, how is it OK for them to have a Fitbit, but our farmers can’t use GPS or auto-steer in their tractors or precision Ag drones? “That is a huge disconnect, and we need to address it as an industry,” Schwiegert reflected. “I think a lot of people in agriculture are intimidated and scared to share their stories because there are folks out there who are ready to pounce. And especially if you have small children, you do not want to have those types of people on your property. So people are hesitant to share their stories. Do you have a farm or ag business that’s not engaged on social media yet? We want YOU to be on top of your social media game! We’ll be sharing tips and pointers to help you get started or improve promotion of your ag-related company through social media. Today we’ll get you started with Facebook. (1.1) First things first: Open your web browser and type facebook.com into the url bar at the top. Before you can create what is known as a “fan” page for Facebook to post updates and promote your business, you are required to have a Facebook “friend” page. Already have a “friend” page? Great! Go ahead, log into it and proceed with us. If not, continue with Step 1.2. (1.3) Record your information and password in a secure place. Well now, that was easy enough! This is the most important part! Once you’ve set up your “friend” page it will be time to develop a “fan” page. We’ll walk you step-by-step through the process. a little arrow, all the way to the right. (2.1) Click the little arrow. The pop up menu that appears next should read, “Create Page” at the top. Don’t worry if it looks different than the sample page (at left) because this was previously created. (2.2) Click on “Create Page” to continue creating your “fan” page. For the purposes of this tutorial we are going to create a “Company, Organization or Institution” page. No matter what you choose, the overall appearance will generally be the same. Local Business or Place – A location or business such as a bar, restaurant or retailer. This page allows you to define your business hours and price range of products sold. Ideal for fruit stands. Company, Organization or Institution – Ideal for companies, businesses or organizations that don’t need to publicize work hours or prices to the public. Examples could include: CDFA, California Ag Today, Fresno County Farm Bureau. Brand or Product – A specific product, service, organization or campaign you want to promote with trademark or distinctive name, aside from your corporate identity. This page could garner a lot of attention for a specific crop, such as Wonderful® Halos® California Mandarins or Cuties Mandarins. Public Figure – A politician, community leader, reporter, or person of note within the community. Cause or Community – A page to rally for someone suffering from health issues, a family needing help after a tragic accident… Aka pages to rally to help those in the community in need of help. (3.1) Click on the “Company, Organization or Institution” icon (or another category that works best for your business). You will be prompted for information. (4.2) We connected it to the californiaagtoday.com website in the next field, and (4.3) entered our Facebook web address or link as, “calagtodaySMfarm” for people to find our page. (4.4) Once you’ve saved that information you’ll move on to selecting a profile picture. All profile pictures have a 1:1 ratio, which means they are squares. Keep this in mind so you select a picture or logo that fits properly in your profile box. We took our basic graphic square “CalAgToday” logo and added “Social Media Farm” to it for use as our profile picture. Our picture was on our computer, so (4.5) we selected “Upload From Computer” to get it onto Facebook. (4.6) Your next choice is whether or not you’d like to add your page to your “favorites”—making it easier to find your page on your Facebook home page instead of having to scroll. This becomes extremely useful as you join more Facebook groups and administrate more of your own pages. Once you’ve made the decision on whether or not you want your page to be accessible in your “favorites” menu [Click on “Add to Favorites”] or not [Click “Skip”] you’ll be prompted (4.7) to narrow your audience. You can choose the location of the audience you’d like to target, the age range, gender and interests. We simply chose to our audience to be those who are interested in “agriculture,” but you can select additional audience interests. Congratulations! You’ve completed the basic steps to create a “fan” page for your ag-related business. For now, though, pause and admire your work. You’re on the way to advocating for agriculture. Facebook is the first step in the social media puzzle, yet it has the largest audience compared to all other social media pages. Now, please go to our company’s real Facebook page, California Ag Today, and “like” us! A July 2013 article on BufferSocial titled, “10 Surprising Social Media Statistics that will make you Rethink Your Strategy,” by Belle Beth Cooper, revealed that Twitter’s fastest growing demographic was the 55-64 year age bracket, jumping 79 percent from 2012-2013. On Facebook the fastest growing demographic in 2013 was the 45-54 year age bracket, up 46 percent from 2012-2013. Cooper recommended reaching adults 18-34 via YouTube, which reaches more adults in that age range than any cable network. Consider a free subscription here: The Golden Agricast- A Monthly eNewsletter. Cooper, Belle Beth, “10 Surprising Social Media Statistics that will make you Rethink Your Strategy,” BufferSocial, July 2013. Perrin, Andrew, “fa,” Pew Research Center, October 2015.